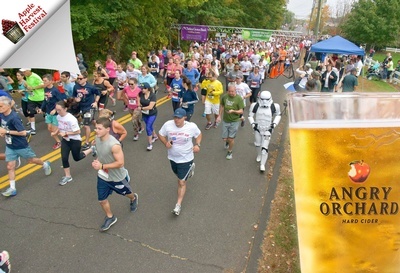 The Angry Orchard 5K Road Race is a part of Glastonbury's Apple Fest, traditionally opening the third day of the festival. This chiptimed roadrace is suitable for runners of all abilities - from more casual walkers to serious competitors. The race begins at Riverfront Park (200 Welles Street, Glastonbury) at 9:30 AM. This event typically attracts 1,000+ runners. Registration is open. Sign-up HERE! All runners will be given a coupon for 20% off a full-priced item. Runners may pick up their OWN packets (ID required) and packets for any minor children.